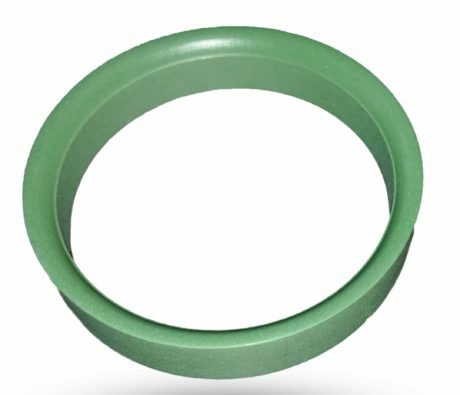 Victrex has designed a new high-performance PEEK polymer to offer the cryogenics industry a sealing solution with a broader range of usage temperature compared to existing polymers such as PCTFE. As the latest member of the VICTREX CT™ PEEK polymers, the 200 grade series exhibits improved sealing over a wider range of temperatures, compared to commonly used materials such as PCTFE. It does so at low temperatures on account of its greater ductility, and at high temperatures due to its superior creep resistance. VICTREX CT polymers have also been shown to maintain better dimensional stability, with a lower coefficient of thermal expansion than incumbent material. The higher thermal conductivity of these Victrex polymers enables a fast response to temperature changes, ensuring the material is engaged with the counter-surface at all times. In addition, laboratory testing indicates that they may require less torque to actuate since they have a lower static and dynamic coefficient of friction compared to PCTFE. This results in less wear, higher performance and a potential for cost savings. Victrex expects VICTREX CT 200 will be of interest to a wide range of potential customers, including valve manufacturers, EPCs**, processors, and operators in Oil & Gas. The new product for the energy industry has successfully completed stringent TAT test as per the Shell Mesc 77/300 and holds promise for injection moulding, compression moulding and extrusion processing advantages.